A few weeks ago I had the pleasure of meeting and working with several hundred LinkedIn members in Seattle – from small and medium-sized business owners to students and university advisors. This trip gave me the chance to hear firsthand what some of our members love most about LinkedIn as well as what puzzles them. Top of the “puzzles” list was the LinkedIn profile – what to put on it, what not to put on it, when to edit it, how much time to spend editing it, first person or third person, bullet points or paragraph formats, etc. Now instead of selecting “edit” each time you want to make changes to a particular area of your profile, you can simply click on that section and begin typing. You can now see what your profile looks like to those that find it – just click on the “View profile” button on the top of the profile. We want to make it easier for you to showcase all of your accomplishments, so we’ve moved optional categories like volunteer work, certifications and more, front and center to make it easier for you to add them to your profile. 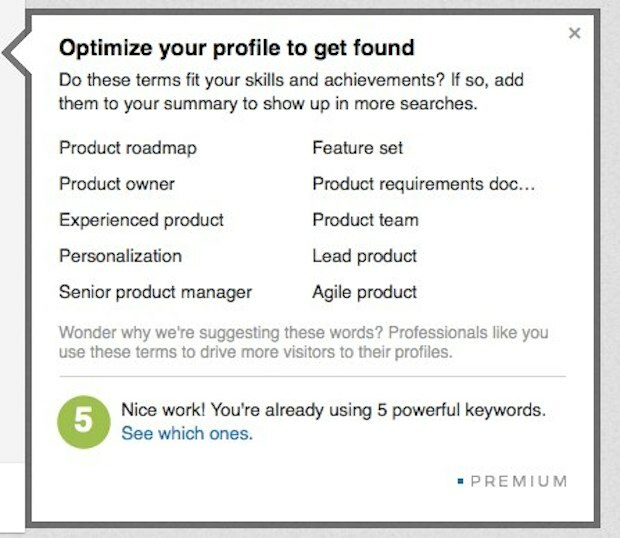 Keyword tips: For our premium members, we provide some helpful suggestions for keywords to add to your summary to make you more discoverable across LinkedIn. These suggestions take some of the guesswork out of editing your profile and give you a little insight into how you can help opportunities find you. 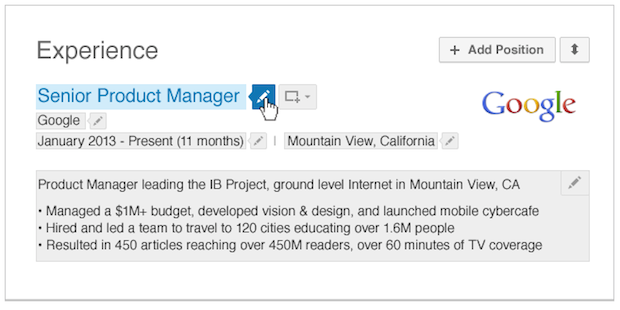 If you still aren’t sure what might be missing from your profile, our guided edit experience can help you fill in the holes by suggesting updates that we know will increase your profile’s visibility to other professionals, brands and prospective employers and employees across LinkedIn. Your LinkedIn profile is often the first thing people find when searching for you online. A stand out profile can help dream opportunities find you – whether they be volunteer board positions, a new gig, a speaking position or new business. When you're not looking for a job, your profile and network can provide you with opportunities to help connect others, mentor students or find skilled volunteer work with non-profits and causes you care about. Over the next few weeks we’ll be sharing some of our favorite tips for building a knock out LinkedIn Profile and answering some of the questions members in Seattle had. Next week we’ll share tips on how to use your profile to help build, or simply extend your company's brand. If you can’t wait to get started, check out a recent post I did on the three most common mistakes people make when it comes to their profiles – and how to fix them. Happy editing!